Two Transition Year mini-companies from Loreto Community School in Milford have qualified for the PDST 2 “Get Up and Go!” National finals in Dublin on the 8th of May. The two groups, from the same class, worked very hard to achieve success. The two group entries are innovative and differ significantly from each other. “Push Wax” is a curb wax used for tricks, called grinds and used with skateboards, BMX bikes and stunt scooters. This group includes Charlotte King, Milford, Victoria Diver, Milford, Jake Mc Nutt, Downings and Rachael Mc Clafferty, Letterkenny. “Push Wax” won 1st prize for Marketing and 2nd prize for Quality at the recent Regional Finals of the PDST “Get Up and Go!” Competition in Donegal Town. The other Transition Year group produced “Let’s Pray”, a children’s interactive prayer group. It helps children learn their prayers in a fun way. 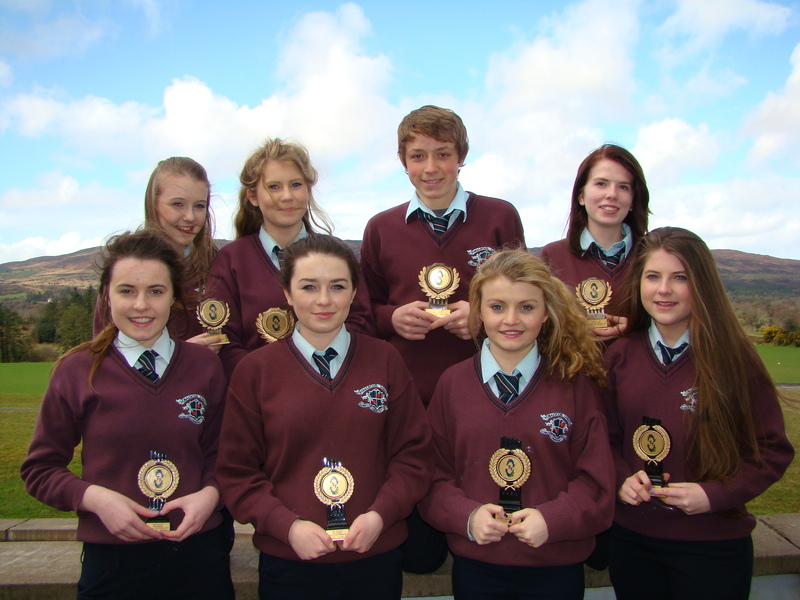 In this group are Aisling Mc Hugh, Milford, Alannah Mc Gettigan, Milford, Lauren Hughes, Milford and Grainne Green, Carrigart. “Let’s Pray” won 3rd prize for Innovation at the regional finals also.